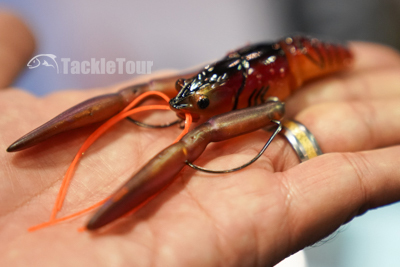 Introduction: One of the more intriguing baits we came across while perusing the New Product Showcase at ICAST 2018 was a crawdad bait with hooks located in the bait's claws. The company's name didn't look familiar to us, so we thought it was brand new. Turns out they're just new to North America. 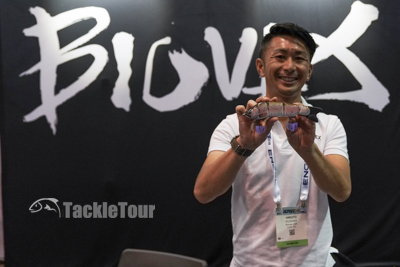 Biovex has been making baits in Japan for quite some time and are now, thanks to their own USA division, are set to debut their product to an entirely new audience. The Joint Zari 65 is a bait to make you think. Why? 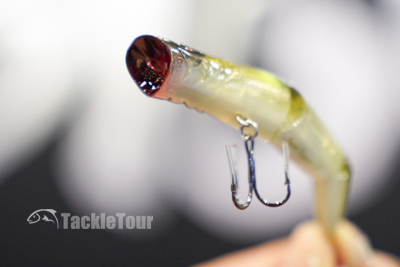 Because the hooks for this bait are TX rigged in the claws. 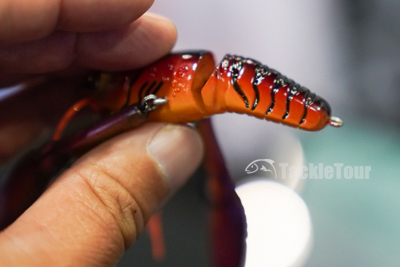 Joint Zari 65: How many times have you fished a live or soft plastic crawdad and had the pinchers of your bait bitten off? Or maybe you felt a bite, but when you swung to set, all you got was air and an intact bait up on retrieve. Bass, especially smallies, will often attack a crawdad's lone tool of defense - their claws - before deciding to engulf the entire bait. That's where the Joint Zari 65 comes in. The hooks for this bait concealed, Texas style, in the claws. The body is hard plastic and jointed. Line attachment is on the back and it fishes like a jig. 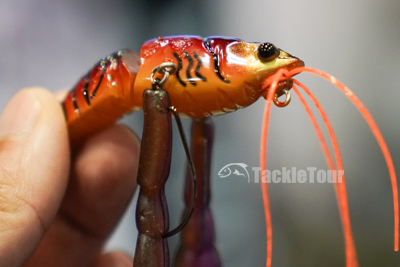 When the fish are on that funky bite, attacking a crawdad's claws, Biovex offers a bait that's ready for that line of attack. The line tie for this bait is right in the tail and it can be fished like a jig, just hopped or dragged along the bottom. The Joint Zari 65s come in a host of color options. Introducing Biovex's Joint Popper 90. Joint Popper 90: Another unique little bait in Biovex's arsenal is their new Joint Popper 90 looking every bit the finesse popper, but with a three piece body enabling you to walk this bait as well as pop it. 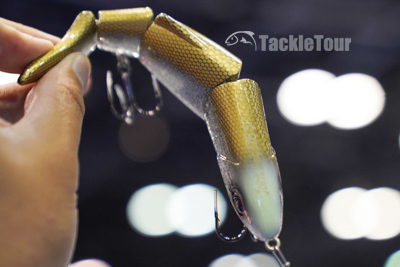 It has a tungsten weight in the back chamber to help with long casts, and a dressed rear treble for added attraction. It's a popping bait that walks, chugs, and pops. The Joint Bait 176 SF caught our attention right away. Joint Bait 176 SF: Not new to Biovex's lineup, but something that caught both Zander and mines' eye was the Joint Bait 176. This seven inch, four piece, hard bodied swimbait is designed to swim just under the surface in an S-like fashion. It can be customized with Biovex's own optional weighting kit to pull it further down in the water column and also suspend. This 4-piece bait swims in a s-like fashion. 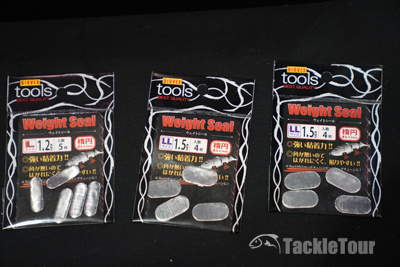 These weight kits help you customize the Joint Bait 176 to sink or suspend as you wish. A different take on a soft plastic stick bait. 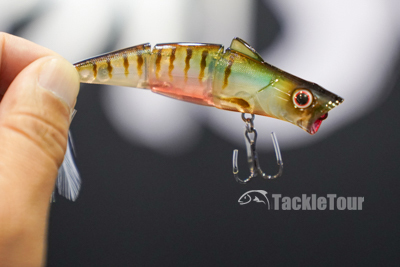 Kolt Glider 7inch: Lastly, yet another intriguing bait on display was the Kolt Glider 7". 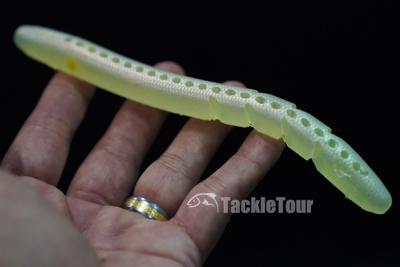 This is a big, fat, soft plastic stick bait with cut out wedges on its side and a series of holes down its spine. 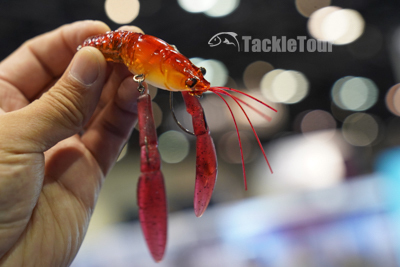 This bait is made for casting long distances and once in the water, will create a pronounced wake along the surface. Kill your retrieve and it shakes, shimmies, and thanks to the holes along its spine, bubbles its way down the water column. Rig it weightless, on a jig head, or on a Carolina rig, this one ounce bait is a very versatile soft plastic. 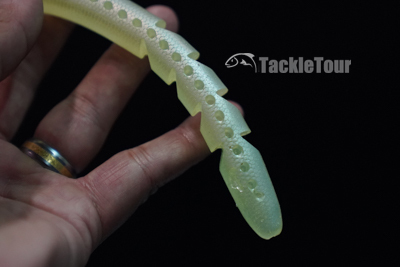 The holes aid in rigging and create a bubble trail when the bait is sinking. 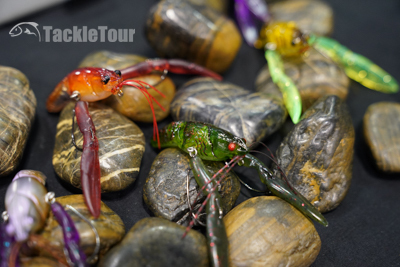 Founder and lead designer Hiroto Kusaba showed us his thought provoking baits. Conclusion: Every couple of years, we come across a new-to-us company at ICAST that has the potential to make a lot of noise in North American tackle stores, boats, and man caves. Molix, G-Rods International, and Ark Rods all come to mind. This year, we've seen a couple of companies that show that same kind of promise. Biovex is definitely one of them. We look forward to seeing more and fishing their thought provoking product.